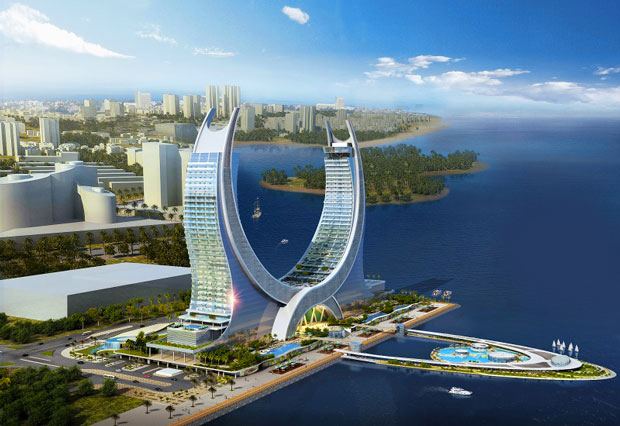 The project scope includes MEP Works for this architecturally and technically challenging 41 floor twin tower structure. 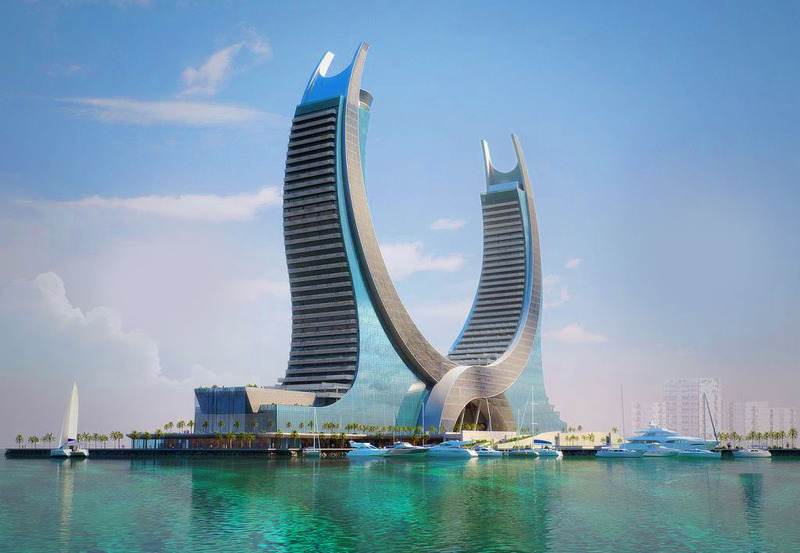 The towers’ mild curves inspired by the crossed swords of the seal of Qatar, will include more than 1,000 rooms and residential units through a six-star and a five-star hotel, branded apartments as well as offices, recreational facilities, high-end retail outlets and restaurants. 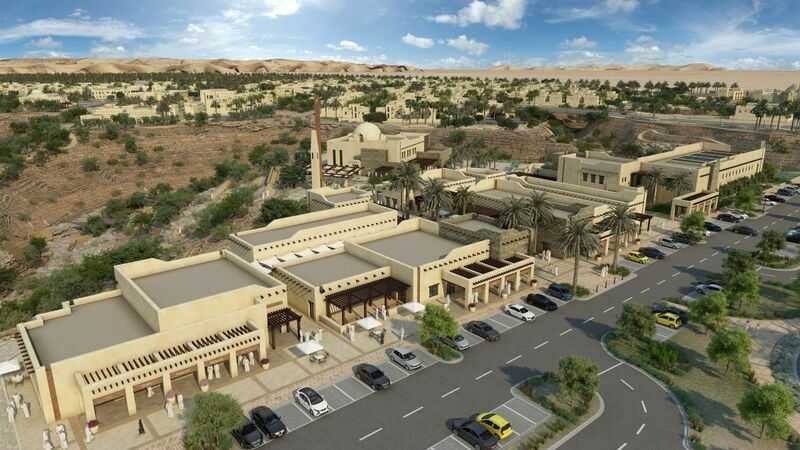 The three-level mall with a built-up area of 248,300 square meters, will be part of the Al Zahia community in Sharjah, consisting of themed parks, leisure facilities residential villas and apartments. 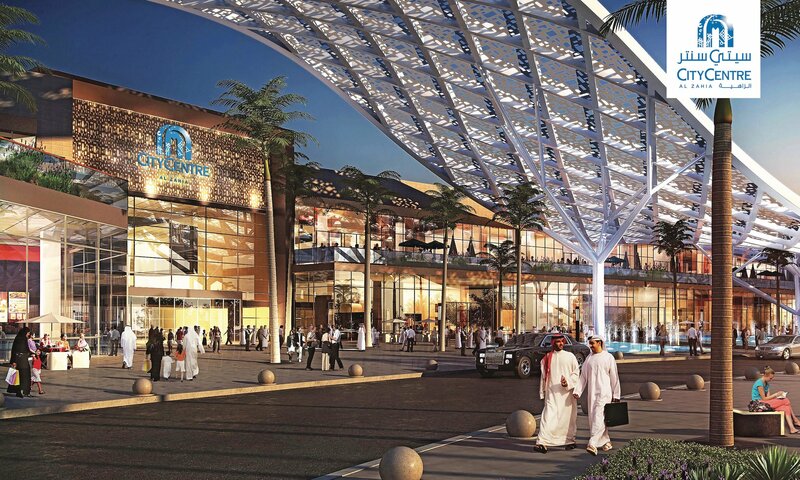 The mall once completed will be a primary regional hub consisting of over 400 retail units including anchor tenants, line shops, flagship stores, food courts, entertainment and restaurants. 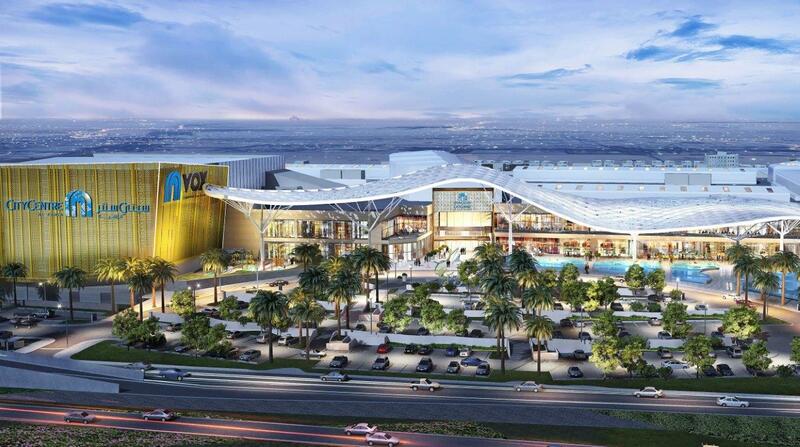 The mall will also include a cinema and Magic Planet on an additional floor. Inclusive in our scope and adjacent to the mall, will be a three-level car park with a total built up area of approximately 135,000 square meters that will host 5,200 cars. 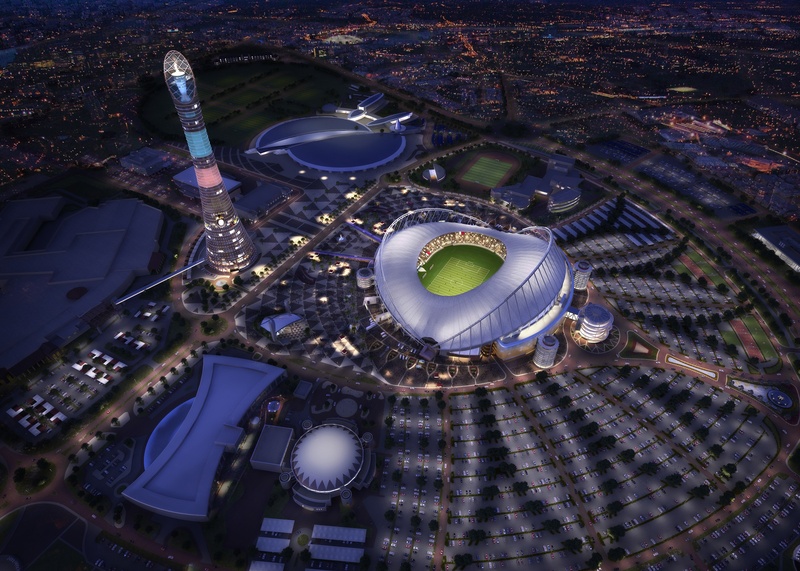 The stadium will have a tournament capacity of 40,000 and will include pioneering and innovative cooling technology. 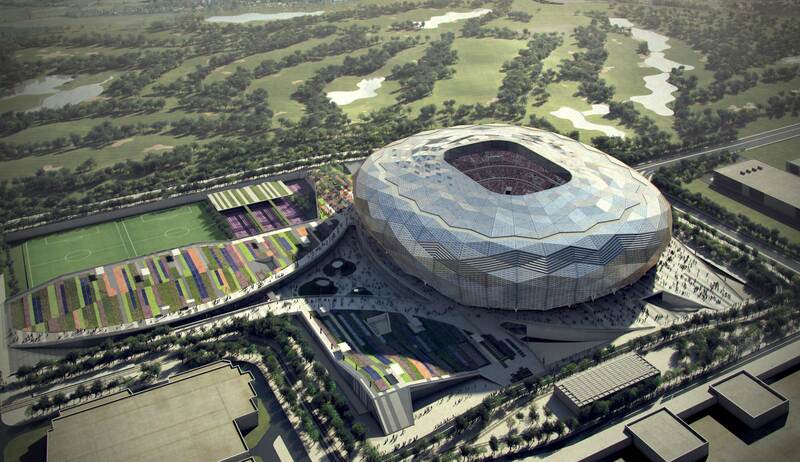 This technology will allow for comfortable conditions for both the visitors and players to enjoy the venue. 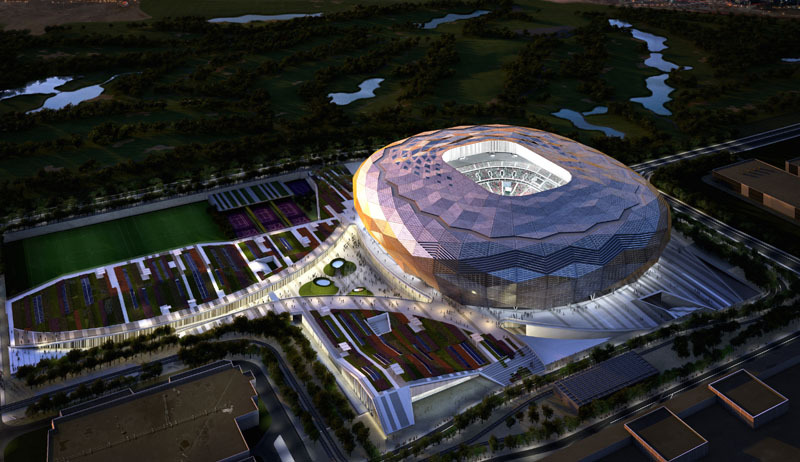 Based in Education City, the complex geometrical patterns of this modern stadium are designed in reference to Islamic architecture. Both the interior and exterior will be dressed with radiant triangular panels that will reveal different shades of colors throughout the day depending on the position of the sun providing a unique experience to the spectators. Al Maktoum International Airport at Dubai World Central (DWC) in Jebel Ali has recently begun its ambitious expansion plans to make it the largest and busiest airport in the world. A&P was awarded the MEP contract for the airside works package for the Passenger Terminal Block (PBT). Our scope consists of upgrading the current airfield through major relocations and new installations. Providing 12 new substations, their related MEP works and special airport systems at the new aprons under construction. Doha Oasis is located in the heart of Doha, adjacent to another important project of ours, the Downtown Msheireb Project Phase III, the Doha Oasis project comprises a 30 storey 7-star hotel tower consisting of 130 Luxury Suites, Substantial Retail Facilities and 245 luxury residential units, for circa 440,000m2 of mixed use floor space. 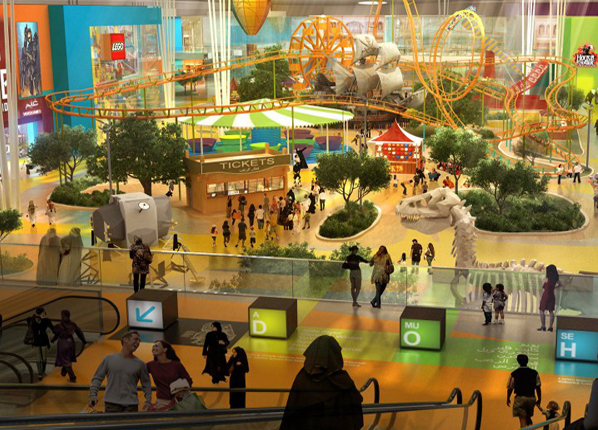 In addition, the development will encompass the largest indoor theme park. 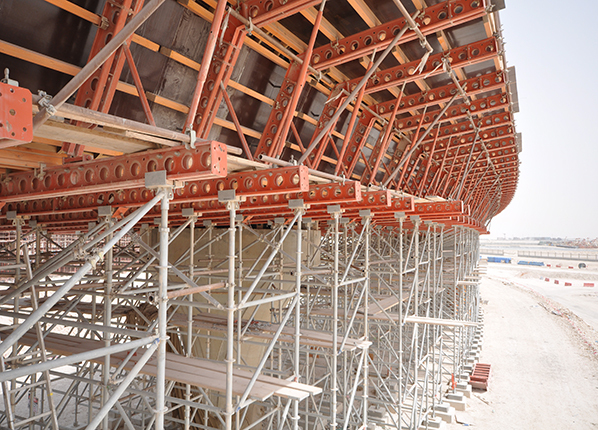 The superstructure is erected on 4 underground basement levels. The project has commenced, and the duration is estimated to be 32 months from commencement. 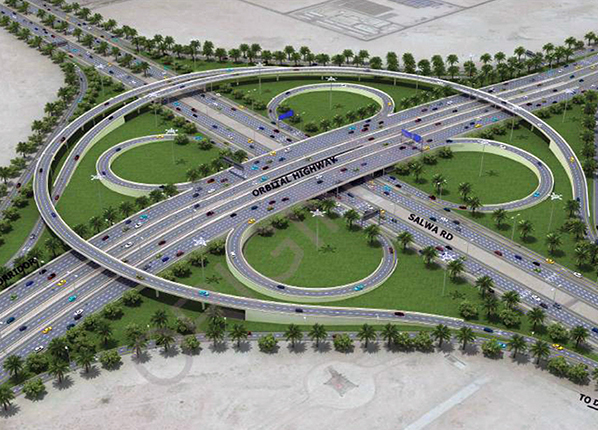 WEST CORRIDOR P10 – Package 1 is part of the East-West Corridor project which is a major East-West Expressway connecting the Industrial Area to the New Doha International Airport. 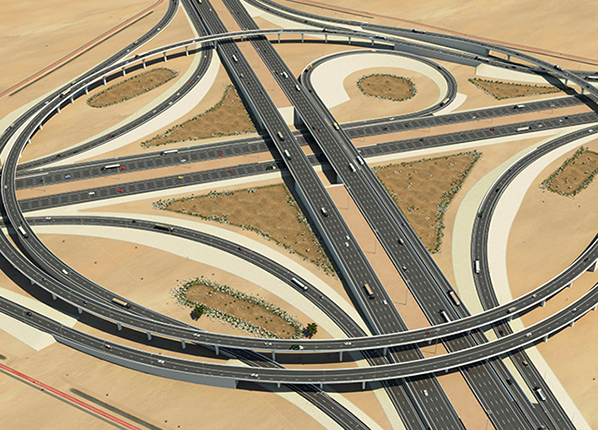 Package 1 comprises a 10.5 km long section that starts just west of the future Inner Orbital road at Interchange 32 and extends to just west of the proposed Barwa City Access at Interchange 29A. The main road consists of a 10-lane section (5 lanes in each direction) and four major interchanges. NEW ORBITAL ROAD – The project is located South-West of the Doha city at the New Doha Port (NDP) connecting Al Wakrah-Masaieed Highway to the East-West Corridor north, Al Wakra Bypass East and the Orbital Highway West. The scope of works includes the Design and Construction of a new freeway consisting of approximately 45km of road network and four major interchanges J15, J16, J17 and J18. The main road consist of 8-lane section (4 in each direction) with cross roads, collectors/distributors, overpass and underpass structures, retaining walls, pedestrian and bicycle paths, traffic signs, transport systems, landscape and hardscape, street lighting and related infrastructure. 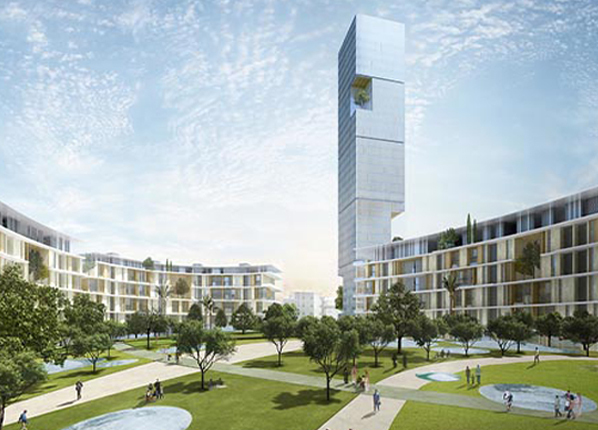 Msheireb Properties is located in the heart of Doha and it is a mixed development project. 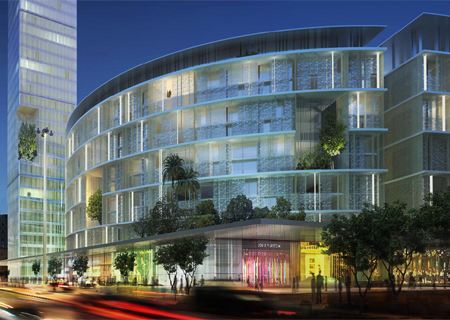 The project aims to achieve upon completion a US Green Building Council (USGBC) LEED Gold certification. 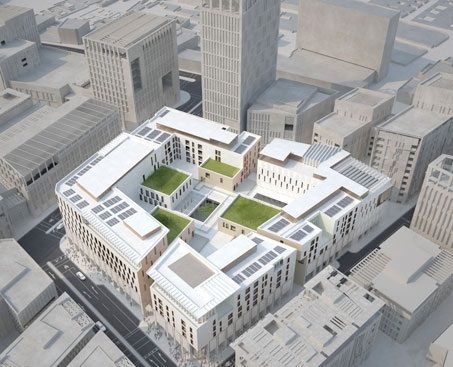 Msheireb is the world’s first sustainable downtown regeneration project, that will revive the old commercial district with a new architectural language that is modern, yet inspired by traditional Qatari heritage and architecture – its proportion, simplicity, space, light, layering, ornament and response to climate. 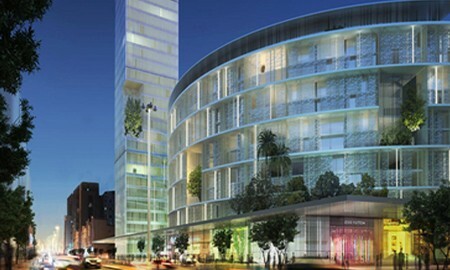 Utilising the latest in sustainable technologies, Msheireb will adhere to the highest standards in green building. 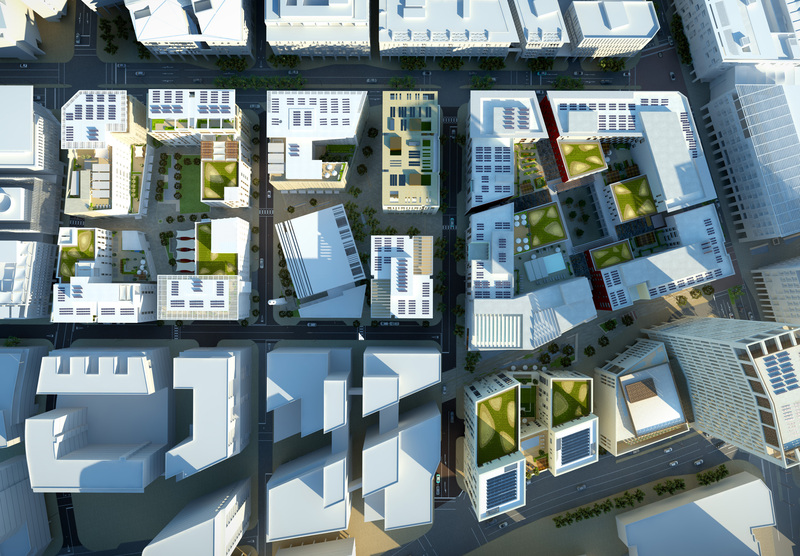 The strategic objective of the Msheireb project is to reverse the pattern of development in Doha, which has tended towards isolated land use, reliance on car transportation and energy hungry structures. 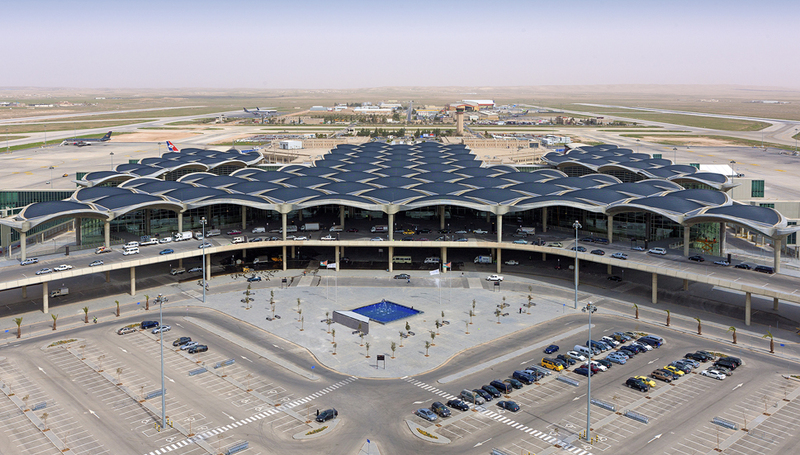 Queen Alia International Airport works involve the Design, Engineering and Construction activities for the complete improvement of the existing airport in Amman, including the construction of a striking new passenger terminal building and improvements to the airside and landside infrastructure. 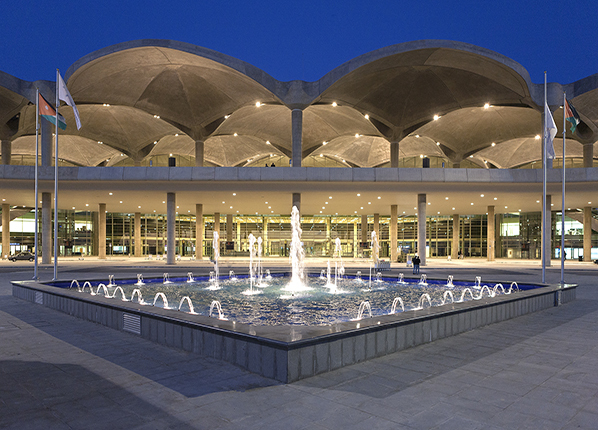 The airport was successfully launched in March 2013 and is fast establishing a reputation as a major aviation hub in the region. The airport is currently able to handle up to 9 million passengers per year, and we are already developing the first phase of expansion to increase its capacity to 12 million passengers per year, which is due for completion in 2016. 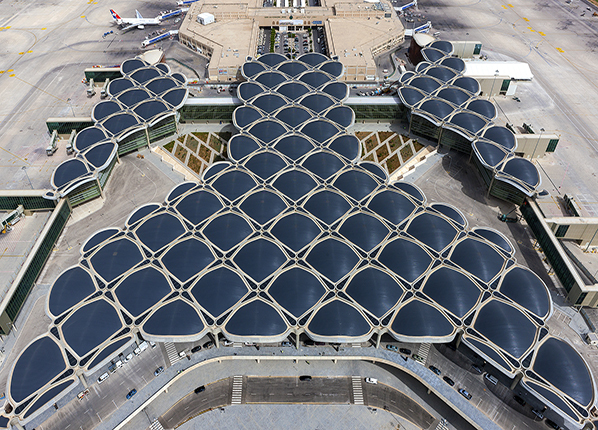 The MEP services installed include design, detailed engineering, supply, installation, testing and commissioning of HVAC systems, Plumbing, Drainage, Fire Fighting, Power, Lighting and all Specialist Systems, including all of the specialist airport systems. 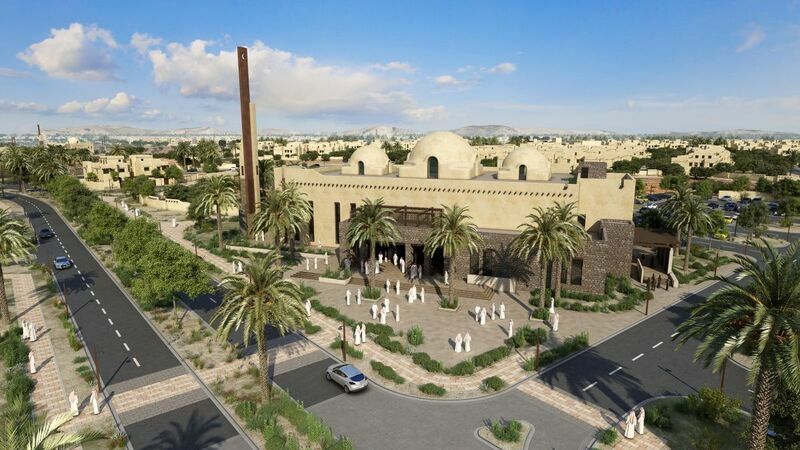 The employee housing project covers 685 units at the Shams Al-Riyadh site including the infrastructure and landscaping along the Wadi Hanifa, which passes through the complex. 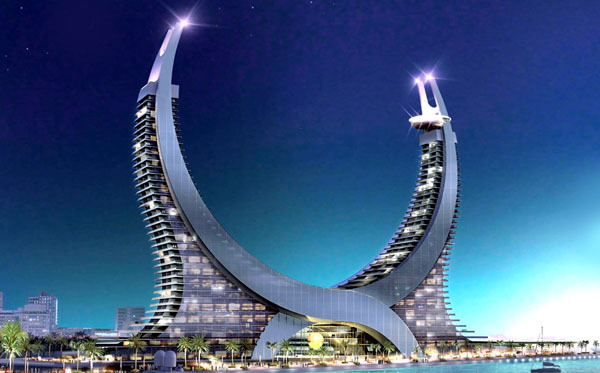 The project also showcases Saudi Villas and Expat Villas. © A&P GROUP OF COMPANIES 2015.